While we refer to Cycas revoluta as a Japanese Sago Palm, it’s actually a cycad, not a true palm. 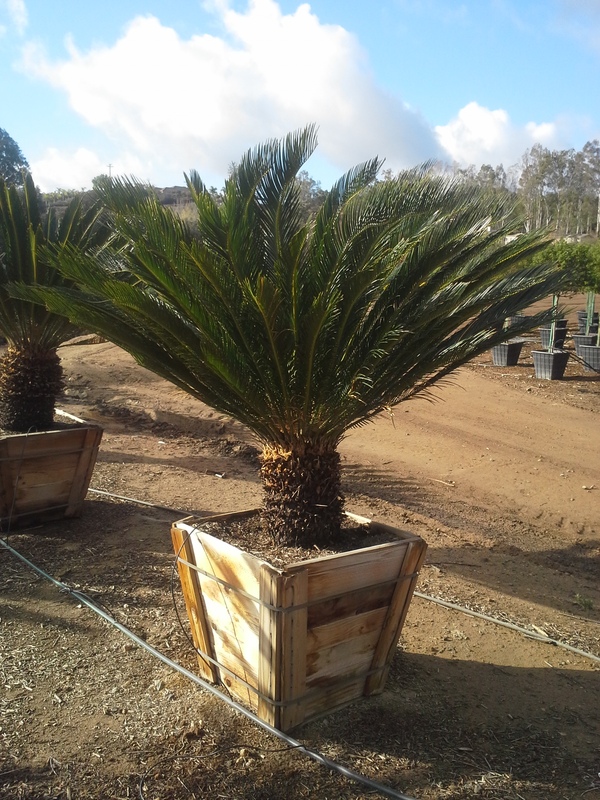 Sago palms produce beautiful, symmetrical fronds that are a deep glossy green color. Plants are very sculptural in their form, thus make the perfect focal point plant or container specimen. It also makes an interesting “shrub” in landscape beds or a living fence line. You can also use them as houseplants or large atrium specimens. Native to Japan’s southern islands, they’re well suited to growing in coastal areas. Sago palms really need a sandy well-draining soil; they don’t tolerate heavy water-logged soils. Be sure to work in some organic matter to the soil. Feed lightly with low-Nitrogen fertilizers or slow-release products so as not to damage their roots. Plants need bright light, but can be planted in full sun to full shade conditions, as long as the canopy is high. While sago palms can ultimately reach a mature height of 10-12’, it can take them 50 long years to do so. They generally remain more compact in urban environments.